Over the past 15 years Adriatic Charter strived to be a highly professional and successful company which offers high standards, quality and safety in yacht charter. In order to achieve it we have been constantly investing in maintaining the older boats or replacing them with new ones. We have been following new trends and attempted to satisfy the clients' expectations. Today we work with more than 150 of the world's leading travel agencies and companies in more than 20 countries around the world. The fleet of Adriatic Charter has a large array of Bavaria Yachts line models ranging from 30 to 55 foot sailing yachts chosen for their comfort and easy sailing. When you choose your yacht at Adriatic Charter, you know that you are sailing in safety and comfort and our team is there for you every step of the way – from your initial inquiry to the final handling over. Welcome aboard, relax and enjoy your holiday! 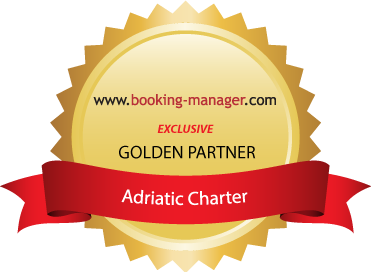 Adriatic Charter provides the best solutions for people, young and old, with groups of friends, families who would like to sail and are looking to maximize their holiday on crystal clear waters on the Croatian Adriatic. People - AC employees are dedicated to ensuring every client is well served. Our highly skilled agency employees, skippers, maritime technicians, cleaners and caretakers are recognised for their innovation, responsiveness and flexibility. Service Excellence - is our heart and soul, the critical gene in Adriatic Charters culture. It's how we continue to meet - and exceed - our commitments.